You haven't had Rumkin from Avery? That's rum barrel aged. There are a few others, but apparently getting rum barrels can be difficult because there aren't many rum producers in the states. That means importing them through customs which is annoying. It's 4:40 in the morning, and I just cleaned a really nasty diaper, so "tot taint" means something entirely different to me right now. I haven't been able to get my hands on any of Avery's barrel aged stuff, but I'm with you...rum barrel aged sounds pretty interesting. I've had a grappa barrel aged one (BFM) and an apple brandy (Cigar City). Both were excellent.. Barrel diversification is good. This page contains a single entry by Mark published on February 28, 2013 10:12 PM. Barrel Aged B.O.R.I.S. was the previous entry in this blog. 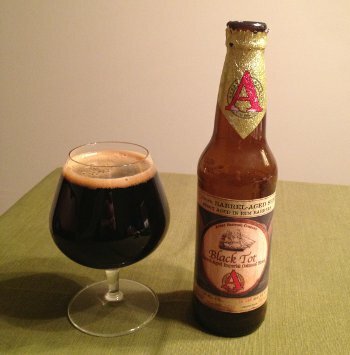 La Biere Des Amis is the next entry in this blog.